To operate a vehicle in Ontario a driver must have a G license. It may be a G1 or G2 for younger drivers, while full-fledged drivers will possess the plan G license. However, just because you have the most common license in Ontario doesn’t mean that you can drive any vehicle you want. Here are some vehicles that are off-limits to regular G license holders in Ontario. Tractor-trailer: People who are looking to drive tractor-trailers will be unable to do so without the proper licensing. In Ontario, drivers must hold a Class A license to drive large and heavy tractor-trailer trucks. Large motor homes: A new category was recently created for drivers looking to operate a different type of large and heavy vehicle – Class A restricted licenses are for people who want to drive large motor homes. 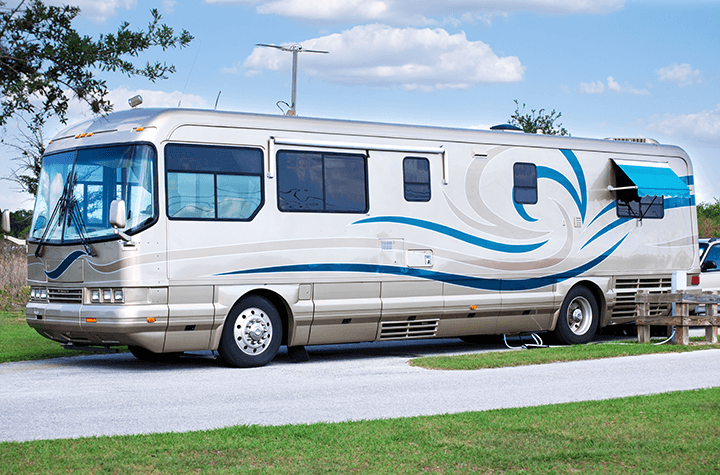 Motorhomes also require different insurance than regular vehicles. School bus: Would-be school bus drivers will need to get a Class B or Class E license, depending on the size of bus they plan to drive. Regular bus: Non-school bus drivers are also required to have a special license. Bus drivers in Ontario routinely hold a Class C license. Buses that carry 24 people or less are allowed to be operated by drivers who have a Class F license. Motor vehicle over 11,000 kilograms: Drivers of small trucks in Ontario, or other vehicles weighing over 11,000 kilograms, need to pass their licensing tests for a Class D license. Tow a vehicle over 4,600 kilograms: Class D licenses are also required for drivers who want to tow a vehicle over 4,600 kilograms, regardless of whether they are towing with a car, van or truck. Ambulance: In order to become an ambulance driver you must first obtain a Class F license in Ontario. Motorcycle: Class G license holders in Ontario are not allowed to drive motorcycles. That privilege is reserved for holders of a Class M (or M1 or M2) license. The insurance for motorcycles works a little differently as well. Motorized watercarft: The G license won't allow you to drive a boat. You can paddle a canoe or kayak without any license, but if your watercraft has a motor, you'll need a boating license. Air-brake endorsement: Finally, if you are planning to drive a vehicle with an air brake, you will need to get additional permission called a Z air brake endorsement. This applies regardless of the license class you hold. In Ontario, having a G license means you are able to drive most motor vehicles . But if you plan to purchase a motorcycle or drive a larger vehicle for work or pleasure, the government requires you to go above and beyond a regular G license. Depending on the vehicle, you might need anything from a Class A-F or M license to legally be on the road in your vehicle of choice. Luckily, the Government of Ontario makes it easy to find the information necessary to write your written tests and take your practical tests to qualify for these rarer classes of license.